Babytalk is a group especially for the under ones. The group meets on a Wednesday morning at 9:15 in the Community Room. The group tends to run in six week blocks so you may want to phone ahead and check it is running (20462581). The group is open to all parents, not just those in the nursery. The group is a lovely way to gain new ideas to play with your baby as well as a great way to get to know other parents with young babies. 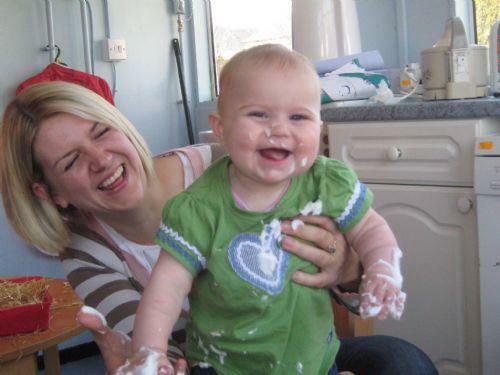 The group is led by Mrs Jackie Eggington and includes making things for your baby, baby massage, song and rhymes, messy play and ideas for outdoor play. Please contact Mrs Bevan for more information.